The moment we've been all waiting for is finally here. 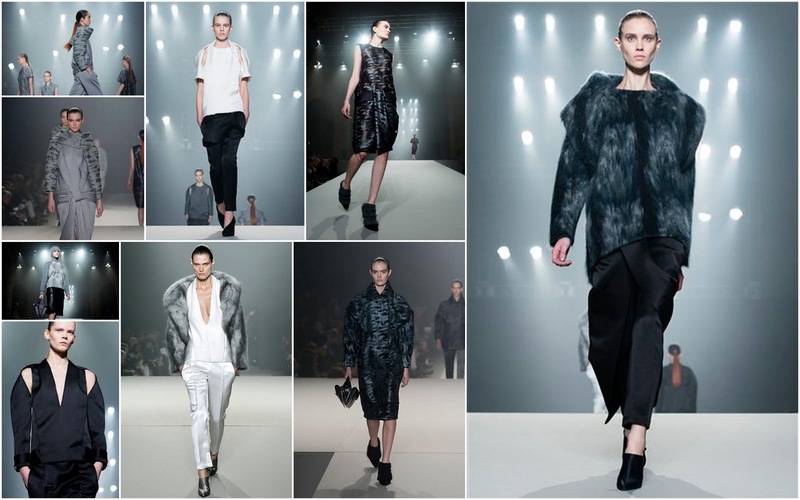 It's the new Alexander Wang Fall/Winter collection which was presented yesterday at the NYFW. And it didn't disappoint anyone. He stayed true to his boxer shorts/pants combined with complicated tops or coats. A girl wearing his clothes definitely won't be cold this season. Talking about the colour palette: we can just say it's 50 shades of grey for Wang. He used 3 different colours which are always fashionable: grey, black and white. He surprised us yet again with his works which are pure high fashion. And I totally agree with Jane Larkworthy from W magazine: "Yup, he's ready for Balenciaga." WOW!! you blog and your pics are so amazing! I really like it! Maybe you can come by mine too and maybe follow each other? Love your header! Loved your blog hun! Very interesting! Such a forward thinking and modern collection!Thanks so much for stopping by... following you now...Hope you have a bright week ahead! It all looks so amazing!! great pictures.Found your blog today.New Follower here. Soooo gorgeous. He's just getting better and better. alexander want leaves me speechless all the time! I love him! hmmm gr8! I followed u and I will be happy if u follow me back. thank u so much dear.